Although many people expect to work for several decades before retirement, a severe work injury can set back your plans and lead to you no longer being able to work at any job. If this occurs, you can receive workers’ compensation disability payments either through weekly payments or a lump sum. An attorney skilled in helping injured victims who cannot work anymore can help you file for workers’ compensation. 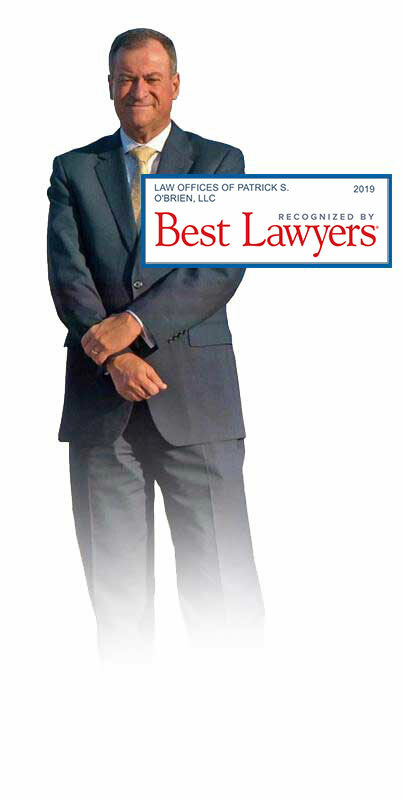 If you are seeking help, attorney Patrick O’Brien can provide guidance to the work comp claim process. He has worked with numerous injured workers, from those with minor injuries to those too disabled to work, in obtaining workers’ compensation. Of the types of workers’ compensation that exist, permanent total disability (PTD) denotes a disability where the worker is not able to physically work at all, either in the job they had previously or any other job. A person may be deemed eligible for PTD if their injury is severe enough to lead to that rating. It is possible that you could receive a weekly payment potentially through your lifetime or negotiate a lump sum as a result of your injury. At this stage, your doctor may deem you to be at your maximum medical improvement (MMI), which means they do not foresee your condition improving anymore than it has following your injury. If this is the case and your injury originated from a work accident, workers’ compensation may provide supplementary income in addition to any retirement, pensions, and Social Security benefits to which you may be entitled. However, if your last work injury, combined with prior disabilities, causes a permanent total disability, the circumstances may be different. Your employer and the insurance company may only be responsible to cover payments that fall within partial permanent disability claims. If this is the case for you and you are a resident of Missouri, you can claim compensation under the Second Injury Fund WHICH allows recovery for additional disability caused by the preexisting condition in combination with the work injury. Permanent total disability (PTD) is calculated based on a percentage of your average weekly earnings at the time you were injured. Specifically, the calculation uses 66 2/3% of the average, and it cannot exceed a maximum amount set by state law. In order for you to prove PTD, substantial evidence must be presented to the Labor and Industrial Relations Commission. Your attorney can provide the Commission the evidence they need to make a determination about your disability and what other elements of your claim will substantiate it for the amount you are awarded. A workers’ compensation attorney is a useful advocate to have in your corner as you go through the claims process. He/she can help facilitate discussions, answer questions, and ensure all documentation and information necessary for your claim is organized. I will personally handle your case from start to finish and will make sure you understand all facets of your PTD claim. Please call at your convenience or email us through our website.